For seven weeks continuously, the drama has occupied the top ratings ranking at midnight time slot, demonstrating its strength and enthusiasm of the audience support. One of the main reasons audience is crazy about the Special Affairs Team TEN is that the drama is interpreting the story from unprecedented angle, showing a method of acting that is completely different from the past. Starting from the episode 1 titled “tape murder incident,” the movie-like production quality and solid script has attracted attention and critically acclaimed. Director Lee Seung Yeong and playwright Lee Jae Gon cleverly combines the fun of reasoning the murderer, and the touching story, successfully complete this high-quality theatrical masterpiece. Each episode allows viewers to experience adventure, fear, reasoning, action, touch of humanity, and this is also one of the reasons the drama Special Affairs Team TEN lets the fans fanatic. 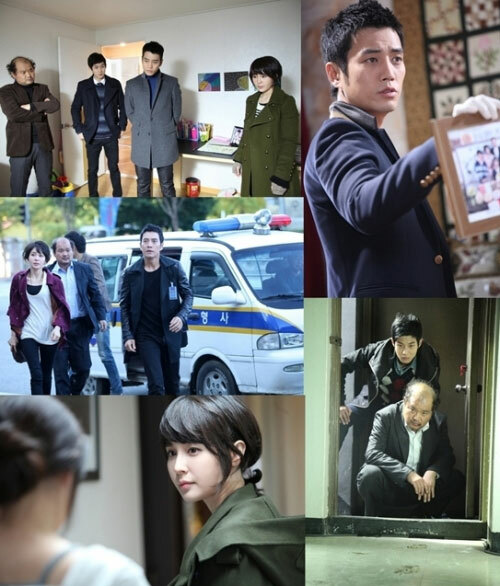 From the plot of first episode “tape murder incident” which has reversal story, to second episode “visit of stranger” that shows horror and fear, fifth episode “chase of forest” and sixth, seventh episode “Chae Woon kidnap incident” that has suspense plot, all have tightly grabbed the vision and hearts of viewers. When audience watches the TV series which is as wonderful as the quality of movie every week, one could not help but to admire the skill of its writer and director. Of course, the actors are particularly commendable. Joo Sang Wook coolly interprets the charm of detective, leaving deep impressive for his many female fans. Kim Sang Ho displays the strength of a senior actor, while the beauty and acting of Jo An also receives warm attention and love. The smallest Choi Woo Sik is showing excellent performance that is unlike a rookie, capturing the hearts of countless sister fans.